Jennifer Nuckles is the Chief Marketing Officer at Doctor On Demand, running B2C, B2B, and B2B2C marketing. Jennifer Nuckles is the Chief Marketing Officer at Doctor On Demand, running B2C, B2B, and B2B2C marketing for the high-growth, disruptive company. 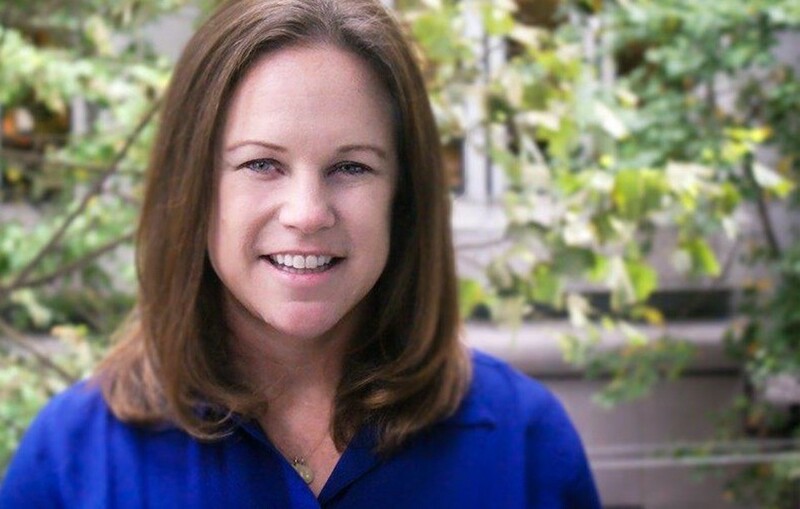 Jennifer brings over twenty years of experience, with a successful track record of building brands and driving customer growth and engagement with products. She shares a passion for the Doctor On Demand mission of expanding access to high-quality, affordable healthcare, and places strategic focus on developing a world-class customer experience and shaping the next generation of healthcare through innovation. In my 20+ years working in marketing, I’ve been fortunate to work with and for companies focused on relentless innovation and the customer experience. I worked for almost 10 years leading marketing at Clorox, driving growth at some of the world’s best-loved household brands. I had the unique experience of leading the innovation behind the company’s first new brand in decades by focusing on the emerging consumer trend of sustainability. My mentors and leaders at Clorox taught me the importance of beginning and ending with the consumer — always developing products to better people’s lives. After almost a decade at Clorox, I left to focus completely on digital and technology, as the Chief Marketing Officer of several e-commerce and mobile start-ups, then moving to the role of Chief Marketing Officer of San Francisco-based Zynga, a public company famous for growing from $0 to $1B in just four years. As the senior-most (and sole) female C-Staff in a company of thousands, in a male-led infamous gaming culture, I led the company in transitioning to mobile from web, by focusing on the customer experience. I also supported Women at Zynga, a leadership program developed to empower females to join leadership positions and engage in roles previously held largely by males, including the technical community at Zynga. I’m thankful for the traditional training and experiences I’ve had, coupled with the move to fast-moving technology companies. These experiences allow me to marry the analytical brain with the emotional heart of marketing. Why did you join Doctor On Demand? Gaming is a fascinating category, and it allowed me to hone user acquisition skills at scale with the narrative and positioning essential to being customer first. I left gaming to focus on a category which I felt I could really disrupt, and more importantly, one which was positively impactful to many. I was recruited away from Zynga by a small, private company, turning down much larger, higher-profile roles. I had learned at Zynga to always be true to myself and do the right thing. I joined Doctor On Demand as it looked to scale through the expertise of mobile and consumer veterans, complementing the healthcare expertise of current execs and the board. For me, it was a chance to grow a business in a large category ripe for disruption, while making a positive impact to the world around me, and develop a high-performing team. Considering the last remaining consumer categories ripe for disruption, there are few left as ready for change as healthcare. Transportation, hospitality, and financial services have all been disrupted through the Ubers, Airbnbs, and PayPals of the world. Couple the huge total addressable market of healthcare with the ability to personally make an impact to the world in which I live, and to work with a strong team, and I was hooked. With nearly one-fourth of Americans without a primary care physician, lack of access to health care providers in the United States is a massive, growing problem. The average wait time to see a physician is three weeks and even when a visit is scheduled, it takes two to three hours from the time a patient leaves their home or office to the time they get back home. It takes an average of 25 days to see a psychiatrist or psychologist and nearly half of patients with mental health issues go without treatment. This isn’t the experience we want — for our parents, for our children, for ourselves. And this isn’t the way it should be. At Doctor On Demand, we focus on how to create the best product to help save patients time and energy and not waste hours sitting in a waiting room. Everyday we push the boundaries and the status quo of a decades-old industry focused too much on the system, and not on the patient. In just under two years, I’ve helped transform Doctor On Demand to a leading virtual care provider, differentiated from decades-old competitors (and newer telemedicine players) through our technical innovation, clinical quality, and consumer preference. Since joining, we’ve exponentially changed our demand curve, which has resulted in triple digit year-over-year growth. And our mental health practice has grown 240% year-over-year! We just completed an industry milestone of surpassing one million video visits in just over four years, significantly faster than any of our competitors. Our industry position and competitive differentiation, culminating in this explosive growth, were recently validated by our 2018 Series C investment, led by Goldman Sachs and Princeville Global Capital. I’m thankful to have had many mentors and champions along the way. Some opened my eyes to new ways of thinking, some exposed me to new opportunities, and others provided valuable coaching to encourage me to stretch my potential. One key mentor of mine is one of the best marketers and change agents I have ever known, who provided coaching early in my career as my Vice President at Clorox. He helped me find continuous fulfillment and meaning in my work and often encouraged me to challenge myself. He led by example, and provided me with the tools to become a strong operator and people manager, while driving growth for organizations beyond what has been traditionally considered as the role of marketing. Seeing him move into public CEO roles and exit companies at unheard of multiples is inspirational, and I cannot overemphasize the impact of an inspirational leader. Telemedicine has been proven to provide greater access to quality care, and my focus has been on relentlessly driving consumer awareness of the Doctor On Demand brand and the telemedicine category. But I’m not happy to stop here, and we’re not stopping at urgent care. Telemedicine today is synonymous with ER and urgent care replacement care. My focus now is shifting to drive our brand’s extension of our long-term care capabilities and follow-ups. Think of the wide range of patient needs — not just the acute (upper respiratory infections, cold & flu, urinary tract infections, etc. ), but the chronic (high cholesterol, hypertension, and diabetes to name a few). Consider the last time you went to a doctor. Was it for yourself? Your child? Did you have to wait weeks to get an appointment, or take an unnecessary trip to seek a referral, or see a doctor whom you’ve never before met? Why are today’s consumers forced to make tradeoffs between the quality of care they all deserve and how quickly and affordably they can receive it? This keeps me going; seeing a new category take shape and adoption increase. Imagine ten years from now — it won’t be a choice to go into a doctor’s office. The system is becoming prohibitively expensive and using the device in our hands will be second nature to get care. That’s the future, and it’s fun to be a part of the change. Can you share three of the best words of advice you’ve gotten along your journey? Please give a story or example for each. Don’t limit yourself to your past experiences or rely on what you did yesterday. Ask the right questions and go forward. — When I was looking to leave traditional marketing I spoke with a lot of mentors. One gave me the sage advice of not pigeonholing myself as a consumer packaged goods marketer. Instead recognize and leverage the experiences and the skills I’d gained, and move forward and apply them to new opportunities. I’ve been able to move to tech, and provide a rare form of strategic marketing often new and unseen at companies, which allows for rapid, scalable growth. Empower each other. — Behind every successful woman is another woman encouraging and developing her. I take time to show my team, the companies I advise, and most importantly my three young daughters that it is possible to be a high-functioning female executive in a still male-dominated workforce, while maintaining a focus on family and leading with empathy. In this time especially, I’m focused on empowering females and helping women reach new levels, in and out of the workforce. Do what you love and be true to yourself. — One of my mentors told me early on to set a long-term plan goal based on my dream, with a more tangible two-year plan with steps that would help me reach my goal. It’s important to not be thinking only of the next six months, but more the long-term and it’s ok to not have it all figured out today. Careers are to be navigated, and there’s no one clear way to get to the end goal. What’s a book/podcast/talk that’s had a deep impact on your thinking? I’m a big reader and listener, so have many inspiring sources that have impacted my thinking. One favorite is NPR’s “How I Built This,” which interviews entrepreneurs and innovators of some of the best-known and also new companies. The podcast tells the personal narratives of the entrepreneurs, and the stories of how they built new categories, brands and products across a wide range of categories, often facing adversity and disbelievers. It’s inspiring to hear how to continually prioritize what matters to the business, and not let distractions get in the way. There are lessons in here for all sizes of companies, allowing focus and innovation to become a natural component of your team’s daily work. I’d love to have a private lunch with Howard Schultz, previous CEO and Chairman of Starbucks. He began his Starbucks career in Marketing, and continued the company focus on customer experience over decades. I admire his creativity in extending Starbucks from being synonymous with coffee (as a drink) to coffee houses (as in meeting places). His focus on the consumer, growth, leadership (returning to his company to right the ship), work ethic, and philanthropy are all truly inspirational. Schultz’s quote to his millions of employees, “we did it together, by balancing profitability and social conscience” is personally relevant and motivating as I focus on high consumer growth categories that better consumers and the world in which they live.